Today, we travel from the Rioja in Northern Spain to the east of Lake Garda in the Veneto region of Northern Italy. And we have three pretty good wines to sample along the way! We’ll take it nice and easy and throw in a few not too difficult technical terms at the end. Muriel Fincas de la Villa Rioja Crianza 2012, 13%, €14.99 (stockists include: Ardkeen Quality Foodstore (Waterford), Carpenters Off Licence (Dublin), Comet Off Licence (Dublin), JJ Gibneys (Dublin), La Touche Wines (Wicklow), Number 21 Off Licence (Cork), and The Wine Centre (Kilkenny). Poor Soil is the Key! This crianza is one hundred per cent Tempranillo and has spent 12 months in oak, and comes from the bottle with a nice bright cherry red robe. The aromas are of red fruit, wafts of vanilla. No shortage of flavour on the palate, some spice too, fine tannins and a lengthy finish. Highly Recommended. Poor soil is the magic catalyst here, according to the winemakers. “The secret of the quality and expressiveness of our wines is the poor and balanced nature of our soil, exceptionally suitable for the vine.” Bodegas Muriel are in Elciego, one of the most famous villages of Rioja Alavesa. Faustino, with vineyards in the best parts of Rioja, is the largest privately owned vineyard in the region. “The winery holds more than 50,000 oak barrels and a permanent stock of some 9 million bottles - without doubt, the largest bottle collection we’ve ever seen”, says The Finest Wines of Rioja (2011). Cherry red is the colour of this reserva and there are fairly concentrated dark fruit aromas, vanilla and spice notes too. Fruity and peppery, smooth with well integrated tannins and a good long finish. Highly Recommended. The grapes are Tempranillo and Mazuelo (10%). It has spent 16 months in American oak and 24 months more in bottle. 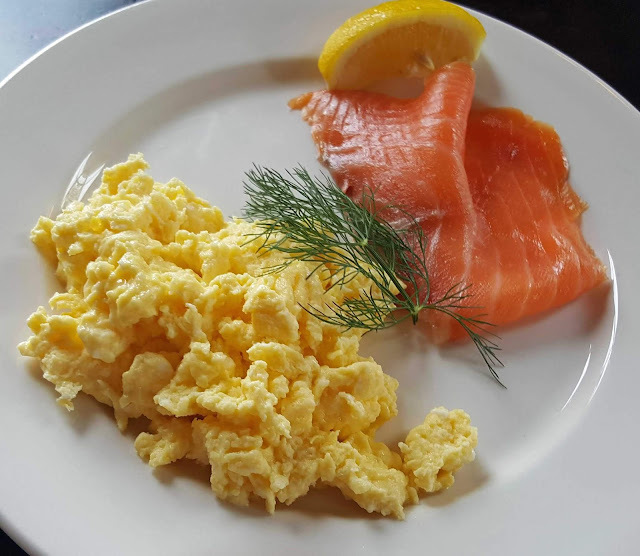 Match it with red meats and mature cheeses, says the winery. And they also recommend “flavourful fish such as tuna and squid in its ink”. See more about Rioja and its wines here in a recent post. 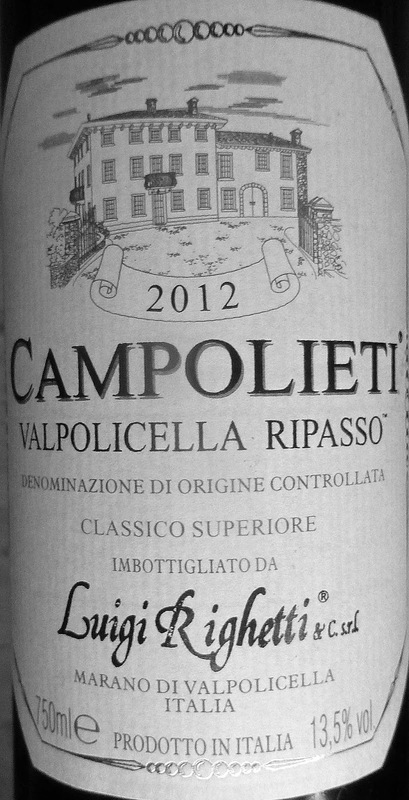 Campolieti means happy fields and this Classico Superiore is produced by Luigi Righetti with Corvina as the main grape of the blend. In the heart of Valpolicella Classico, the Luigi Righetti estate is a small to mid-sized family run winery. The most exciting tradition to evolve from the Veneto region is the process used to dry grapes prior to pressing. 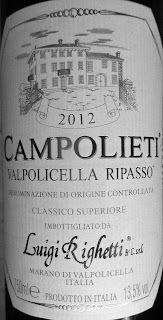 Amarone and "Campolieti", the ripasso Valpolicella, have traditionally been the products to benefit from this process. Aromas of plum and blackberry are noted in this rather fruity ruby red wine. Much the same fruits can be detected in the flavours. This has been made from grapes dried and put through the Ripasso method (see link below); this enhances the concentration. It also has a good dry finish. Ideal with Pasta, Risotto, Roasts, Red Meats. Highly Recommended. The burgundy label (reserva) indicates 1 year in oak, 2 in bottle. Read all about the Ripasso method here. Faustino Fun - for one night only! On Thursday 15th November, for one evening only, Faustino are hosting a fabulous pop up bar in The Crypt at Christchurch Cathedral. 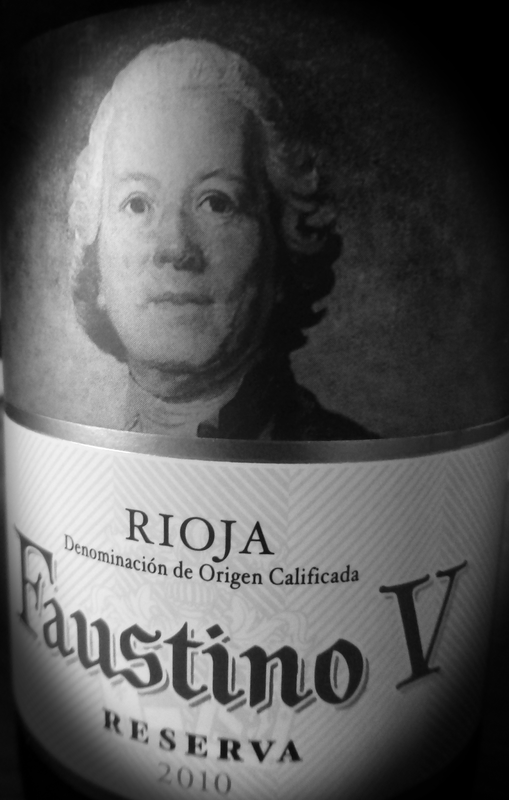 Faustino V, Rioja Reserva 2005, 13.5%, €13.32 Venta Mugica (Ibardin). This is very smooth, dry, with a decent bit of spice, medium bodied, lingering finish. The bottle, as is usual, is frosted but comes without a net. Proposed pairings for this dark aromatic red include red meats, poultry with spicy sauces and mild cheeses. Fairly widely available here from, among others, Superquin and O’Brien's. Highly recommended. 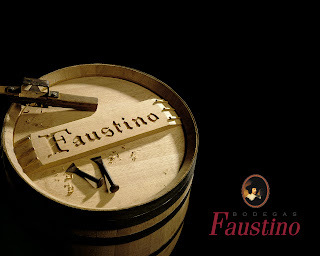 Faustino 1, Rioja Gran Reserva 1999, 13.5%, €17.00 Venta Mugica (Ibardin). Bodegas Faustino are one of La Rioja’s most famous producers and one of the biggest also, according to that excellent book, The Fine Wines of Rioja, who say they have a permanent stock of 9,000,000 bottles! They make quite a few wines, including Cava. The Gran Reserva, aged for a long time and released a decade or more after the harvest, is your classical Gran Rioja.